Hard on the heels of the re-release of Arthur Pendragon and other major works on Dutton, comes news of another important reissue. 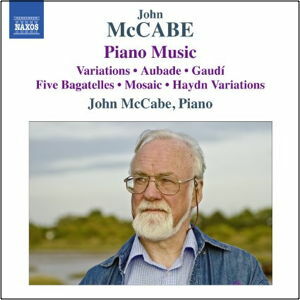 The CD of McCabe performing his own piano music on the British Music Society own label (BMS 424 CD) has now been reissued by Naxos on 8.571367. The BMS CD was a Critics Choice in the Gramophone when it was originally released. It contains over 76 mins of music, including McCabe’s Variations (1963), Five Bagatelles (1964), Aubade and Gaudi (both 1970), Mosaic (1980) and the majestic Haydn Variations of 1983. This work has been described as ‘masterly, unorthodox and original’ and also ‘possibly a masterpiece’.